Ignoring convention, kitchens in 2019 will juxtapose cabinets, materials, colours and technology to create personalised environments. 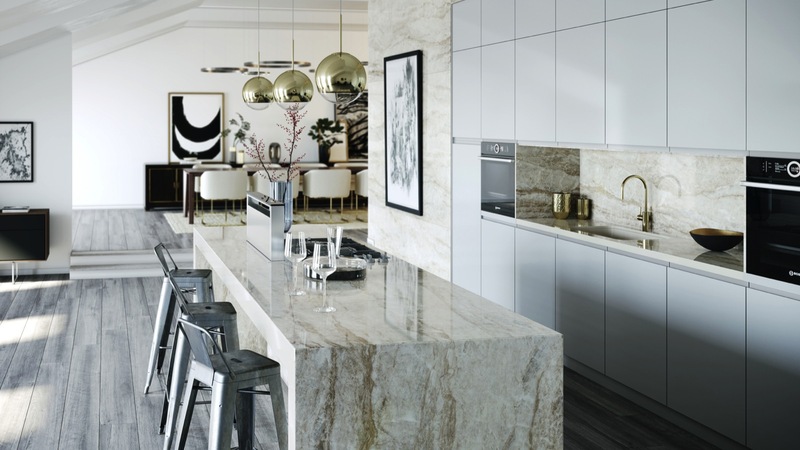 The most fashion-led kitchens in 2019 won’t be restrained to traditional schemes, with the sea-change furthering the development of the broken plan kitchen and eclectic choice of materials and colours. 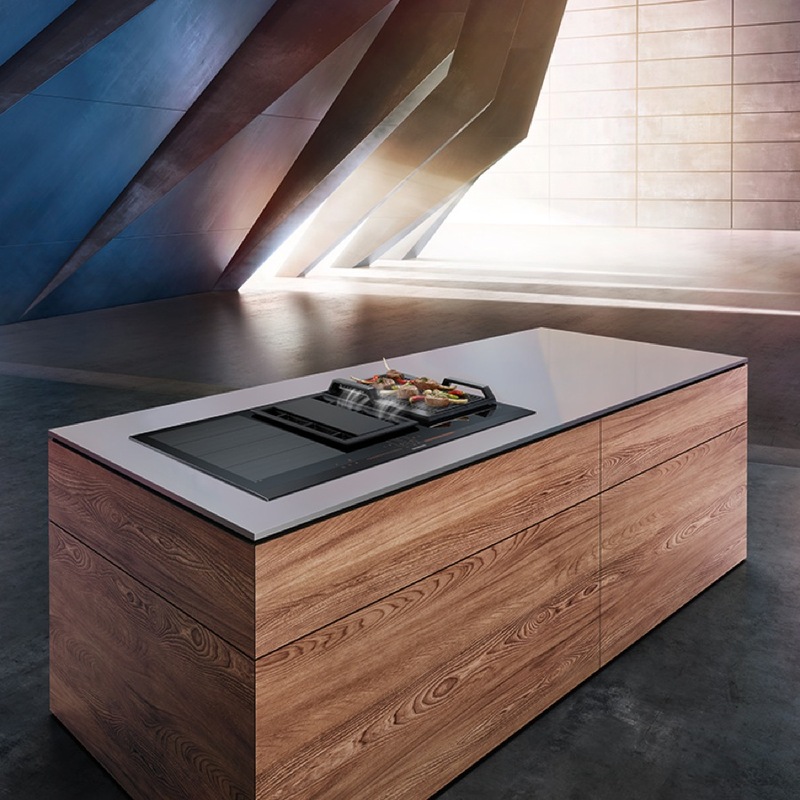 It reinforces the continuation of the open and concealed elements in a kitchen, as director of Eggersmann UK Daniel Bowler comments: “Everything needs to be within easy reach and positioned appropriately. And this dichotomy of design is carried through to styling with minimalist joining country styling, as well as a wider use of deeper colours and natural materials. 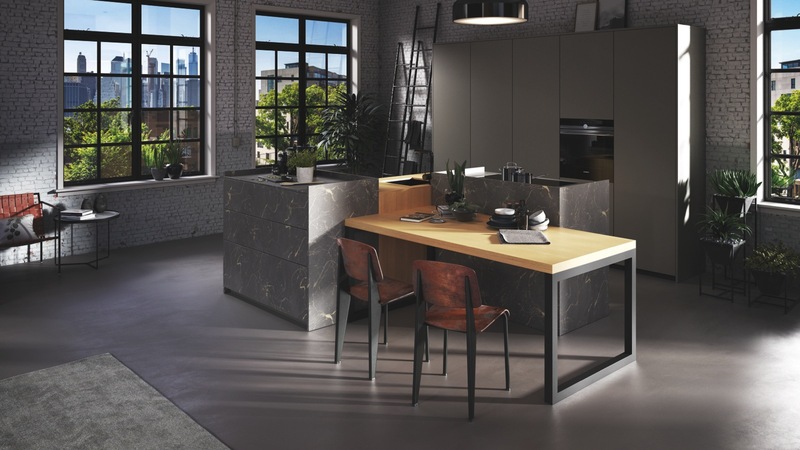 Whether engineered or natural, stone continues to be a key look for the kitchen worktop, from industrial-style concrete through to more classical marble and quartzite. 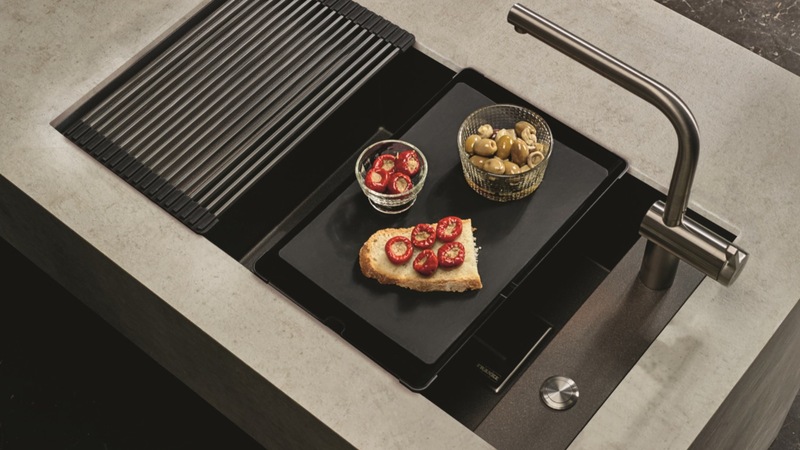 However, interestingly, surfacing is also playing a greater role in the overall design with Cosentino suggesting ‘waterfall’ worktops or drop edges being a key look. 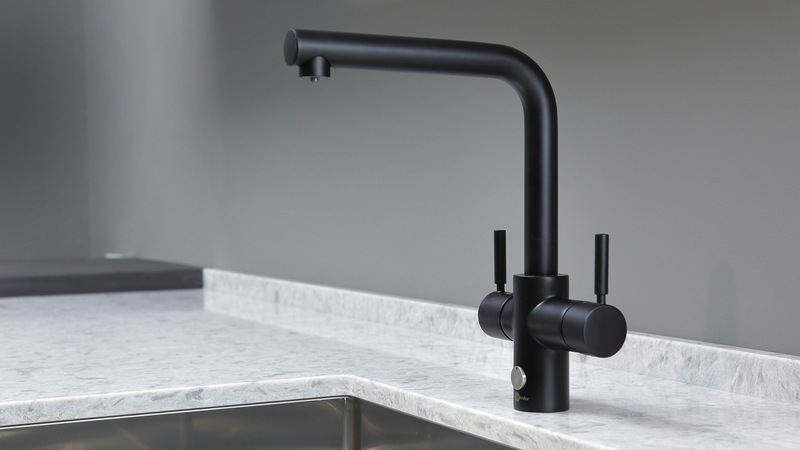 There is no doubt that instant boiling and steaming water taps will continue their charge in sales in 2019. However, experts suggest consumer reaction to plastic waste will also see an upturn in filter water tap sales. The key trend for kitchen sinks is the undermount which has now become a standard choice and filtered down the market with low profile inset models. But, arguably, the greatest trend is set to be the continuing challenge to the stainless steel sink by granite models. Managing director of Franke UK Neil Clark explains granites are swapping traditional design “for what we call Super Metallic. While gas is still the go-to fuel choice, induction will continue to build on its success in 2018 and continue to challenge for hob sales in 2019. Induction ticks the boxes of cooking at speed and saving energy. Less of an odour or steam remover and now more of an air conditioner, hoods are able to respond and adapt to the changing climate of a kitchen. 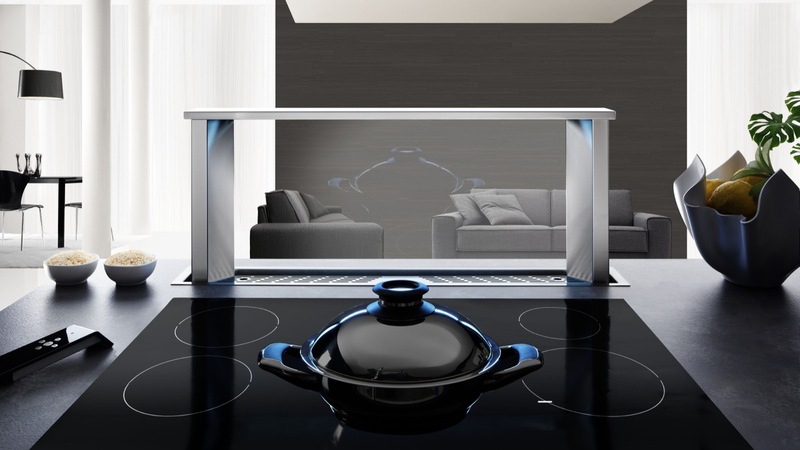 Managing director of Franke UK Neil Clark expands on the point: “Hoods can sense what to do with the air by making modifications depending on moisture levels and odours. At the heart of the appliance choice is the oven, and not only do consumers expect their appliances to be stylish with co-ordinating aesthetics, but also provide professional results. 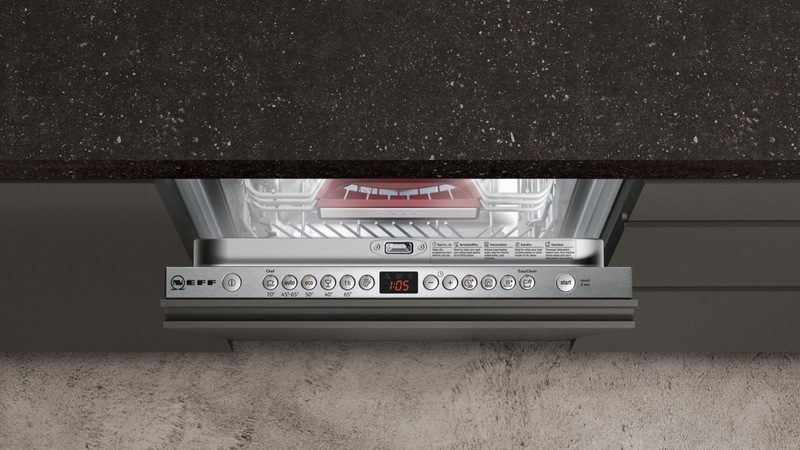 For the oven, this has seen the continuing developments of technologies such as enhanced air circulation, specific pre-set functions and recipes for optimum results, as well as self-cleaning functions for ease of use. With healthy eating and minimising food wastage at the top of the cooling agenda, the fridge, freezers and fridge freezers market will continue to focus on preservation. At the premium end of the market, inspiration comes from the professional sector with blast chillers and vacuum drawers. However, across the board, manufacturers have addressed optimal food preservation. Resource saving and time-saving will remain key for laundry sales, with appliances able to optimise wash programmes for best results in quicker times. BSH Home Appliances has adopted its i-Dos feature across its ranges, which automatically releases the right amount of detergent and softener, and it introduced sensorFresh to freshen clothes without washing. 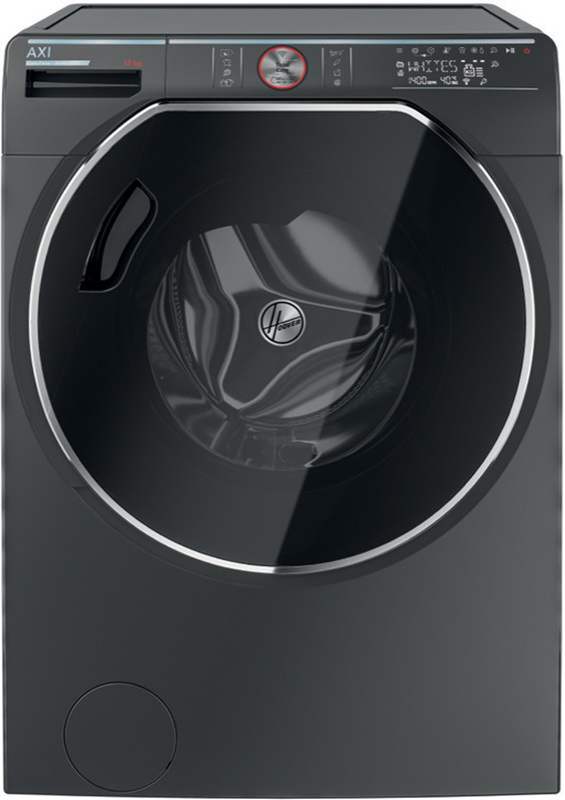 Also, the Hotpoint ActiveCare washing machines remove up to 100 stains, while keeping water and energy use to a minimum. 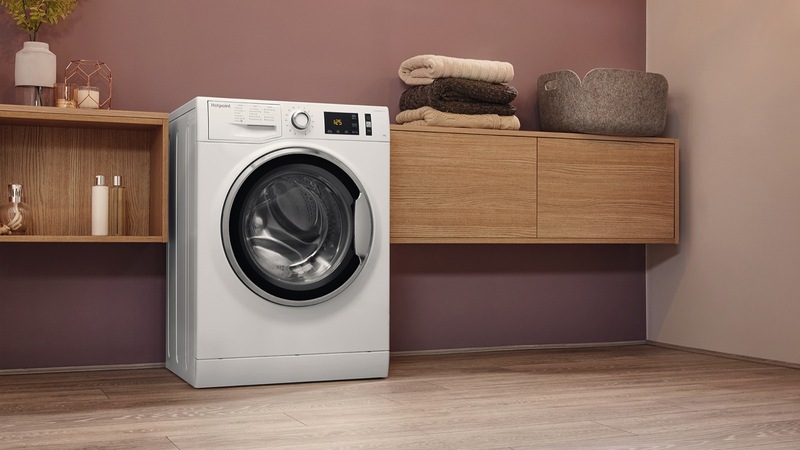 In fact, “programmes and features that make the chore of laundry easier for consumers will be a hot topic in 2019,” explains brand manager of Indesit Sara Bazeley. Its Innex washing machine features a Push&Wash programme which cleans and removes stains in 45 minutes. Similarly to washing machines, the focus of dishwashers in 2019 will be to save water and energy and, since they are sited in the kitchen, noise level will grow in concern for kitchen designers. Category and trade marketing manager for dishwashers at Whirlpool Charles Bernstein says its 6th Sense dishwasher can save up to 50% of energy, water and time. In addition, Neff has also looked at incorporating the appliance seamlessly into handleless kitchens with its push-to-open DoorOpen Assist. 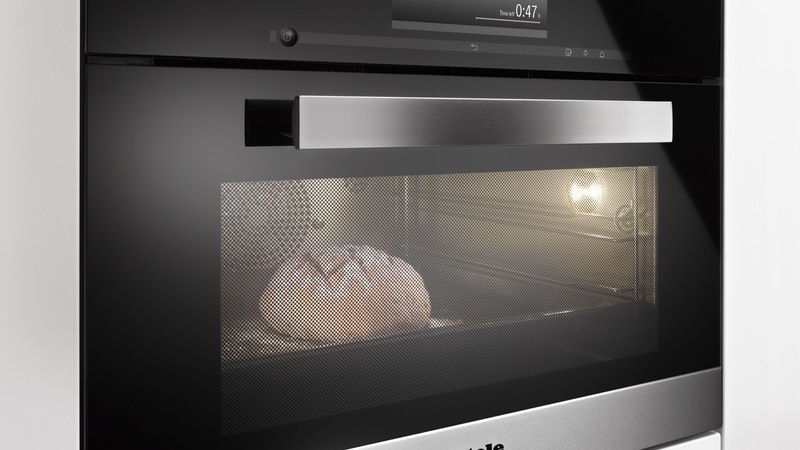 Although still in its infancy, appliance connectivity is only going to accelerate as manufacturers create App-based technologies to help customers maximise the use of their machines. Arguably led by laundry, connectivity is available across a raft of appliances. 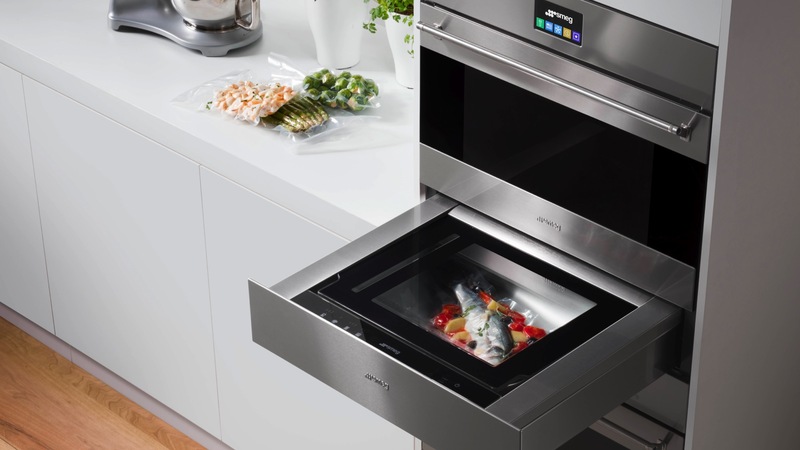 And it’s no longer restricted to the luxury end of the market, as entry-level Indesit offers an App to complement its Turn&Cook oven. And the company is launching its own connected technology – SmegConnect – in 2019.
Business director of freestanding appliances at Hoover Candy Steve Macdonald adds: “Whether it’s remote control access via Apps on mobile phones or tablets, or Artificial Intelligence that lets users converse with their appliances. Check out what’s set to take the bathroom by storm in 2019.